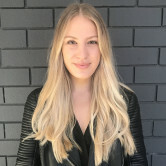 ad campaign and presenting the National Geographic series Meanwhile in Australia, which is set to launch on Netflix later this month. “We are delighted that Nick has agreed to be Australia’s next Bachelor,” Ten executive producer Hilary Innes says. “He will bring a refreshing, honest and cheeky energy to season six. “On top of all his incredible achievements, he is both loveable and surprising. I know he will be a phenomenal Bachelor." The move to cast a high-profile Bachelor comes after Sophie Monk’s season of The Bachelorette smashed records of any other Bachelor series. Monk's finale episode pulled an audience of more than 1.6 million people - a huge audience in comparison to Georgia Love's 2016 finale audience of 970,000. Cummins is no stranger to brand deals, having previously appeared in a Head & Shoulders ad. He is also an ambassador for Tradie underwear. In October last year he also featured in a campaign for Tourism Australia. 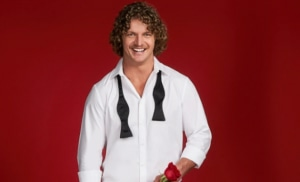 Nick ‘Honey Badger’ Cummins has been confirmed as Australia’s next Bachelor. Network Ten confirmed the former Wallabies star will front the sixth series of The Bachelor Australia, set to air later this year. Cummins' is as well-known for his off-field exploits as he is for his celebrated sporting career, starring in Tourism Australia's 'Aussie News Today' ad campaign and presenting the National Geographic series Meanwhile in Australia, which is set to launch on Netflix later this month.